Today we are sharing a success story from one of our beloved clients, iLovePDF. They started working on their App Store Optimization strategy not that long ago, and nevertheless, they have achieved great results really soon thanks to a good implementation and the proper use of TheTool. Keep reading and learn how they did it! iLovePDF is an app available for both Google Play Store and Apple App Store under the category “Productivity”. It aims to help you work comfortably with your PDF files in order to boost your productivity. Among many other features, it allows you to make annotations, signings, merge and split files… It’s basically an all-in-one PDF tool, available in 25 languages, that also won an award for best productivity app in Spain in 2018 from TheAwards. The study we are about to share explains their story since the moment they started working actively on App Store Optimization with TheTool. By analyzing the steps they took we are able to see how a good ASO strategy improves significantly an app’s visibility and, therefore, the number of downloads. Notice that just a month after its implementation (we are talking about February and March 2019) their number of installs increased by 27%, which is pretty impressive! 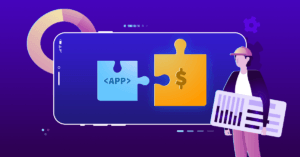 Let’s dive right into it to see, in their own words, how a good ASO strategy can make your app grow since the very beginning! We started actively working in our ASO after winning TheAwards (Best Productivity App 2018). Up to that moment, our App was in a very early development stage and we were not making great efforts in its promotion. iLovePDF App was just a side project for us, we were mainly focused on our website – where iLovePDF began back in 2009. We set up TheTool after winning TheAwards and we started using it more actively before an important update of our App in order to get a better insight for the launch. We made an extensive list of keywords in English and got them translated into 25 languages by professional translators. We also started tracking those keywords with the aim of collecting data and choosing which ones were going to be used for our App Name and Subtitle (Apple App Store). We started tracking the huge list of keywords in The Tool with the aim to start collecting data. One of our biggest mistakes before optimizing our App listing was that we only used our Brand Name as the App’s title. Checking TheTool ASO Score tab, we realized that we had to change our App Name to the following format: “Brand Name – Description (keywords)”. After reviewing the keywords rankings, we shortlisted a few high traffic keywords, such as PDF Editor and Reader, to include in our App Name and Subtitle. We used long tail keywords in the text description. In regards to that, The ASO Guide for Apple App Store came in very handy, we kept in mind some valuable suggestions when designing new screenshots. After all these changes, our ASO score increased from 46% to 65%. We have not finished our ASO work yet and we are just part way through our journey. Our next step is to include optimized demo video of our App. After applying these changes, their ASO score increased almost 20 points, from 46% to 65%. The number of installs augmented 27% and paid subscriptions 22%. We’ve talked about great apps that have improved their visibility and got more installs and also about developers that have doubled results in their apps after changing a keyword strategy. However, this particular case study is relevant to see that sometimes significant results can appear sooner than expected. As we always mention, ASO is a never-ending process, and it needs constant monitoring because there’s always room for improvement. These are the first steps in a long path, but it’s a really good start! Kudos to the iLovePDF team! Have you enjoyed this case study? Leave your opinion in the comments!